These crooked dice are great for any dice routine. Each Face is Approximately 1 inch square and skewed out of wack to provide a unique look to your dice act or a hilarious finisher. 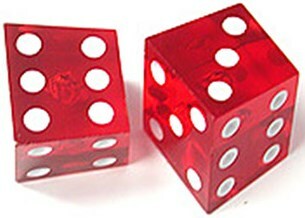 Note: the overall size of the individual dice in these packages may vary greatly.